Here is great news for laser tag club administrators, engineers of service centers and all those who use USB bases to set up the parameters of laser tag equipment. Many users have encountered issues concerning the unstable operation of a USB base with 3.0 USB ports on the latest Windows program versions. This annoying inconvenience is now a matter of the past. 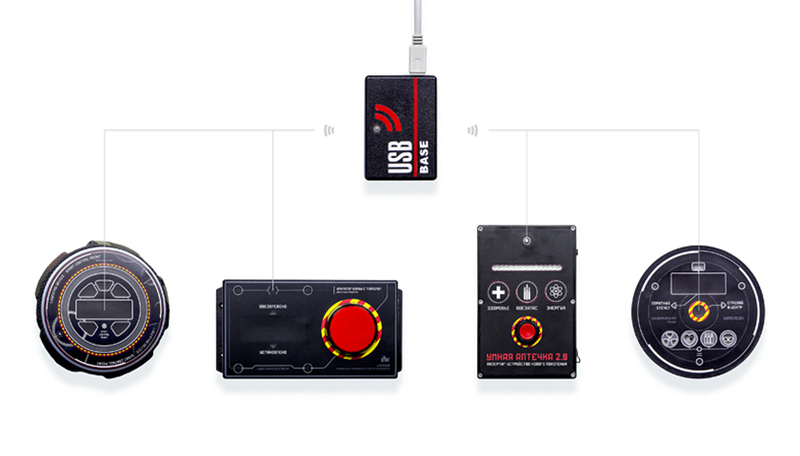 LASERWAR engineers have fully re-evaluated and updated the internal firmware of USB bases and the algorithm of data exchange between a base and the LASERWAR configurator, as well as control over packet switching over an infrared channel. As a result, a USB base provides stable operation both with USB 2.0 and USB 3.0 ports on Windows versions 7 to 10. To take advantage of the updates you need to download and install LASERWAR configurator version 8.5.4 and update circuit board firmware of the USB base to version BaseUSB2.01.04.01. You can update base firmware by yourself it you have a programmator. Otherwise, you can have it done at our service centre by sending your base there. After you have carried out the updates, you will be able to use your USB base to change the settings of your generation 4—7 play sets. To do that, you will need to place a blaster emitter and headband sensors next to one another (the equipment must be on and in admin mode). Then, you will have to direct the USB base emitter at them and change the required parameters by means of the LASERWAR configurator. The update that has been done to the base firmware has significantly increased the speed with which devices are now discovered as well as the stability of connection through the infrared channel. Besides, a USB base and the LASERWAR configurator can be applied for comprehensive programming of such devices as the Chameleon universal point, the Smart first aid kit 2.0, the Crater bomb and the Smart control point. To do this, you must direct base emitters at the sensors of devices in admin mode, as shown in the picture. A special note for those who own Smart control points produced in 2017. Due to the special construction of the top panel of the device, one may need to put an extra effort into finding the right position of USB emitters in order to obtain reliable infrared connection. You can resolve the issue by removing the top cover of the control point before you start programming. This problem has been eliminated in control points produced in 2018 or later. We will still be glad to receive from you any suggestions regarding problems in equipment operation and we will do all we can to eliminate them as soon as possible.